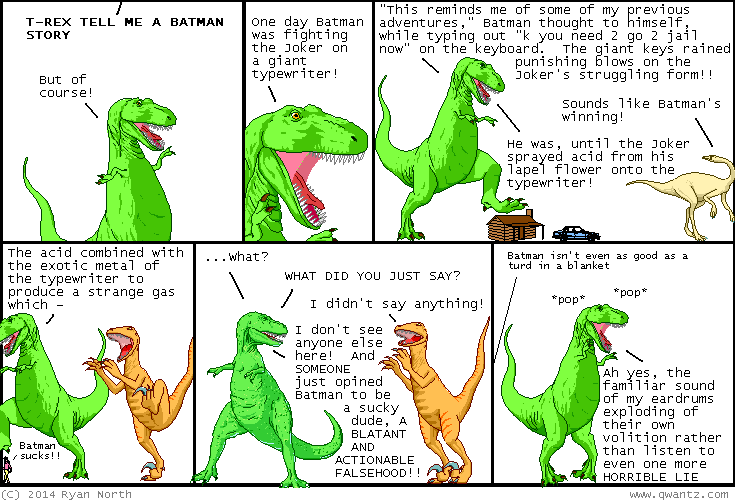 Dinosaur Comics - January 20th, 2014 - awesome fun times! –Okay! Our first letter comes from Jenn! One year ago today: you are now reading "grinding XP" as "grinding and then there's this emoticon of a dead guy with his tongue hanging out"